Home / Health and service / Health and service :: » Illnesses » Is Melanoma the Only Serious Type of Skin Cancer? 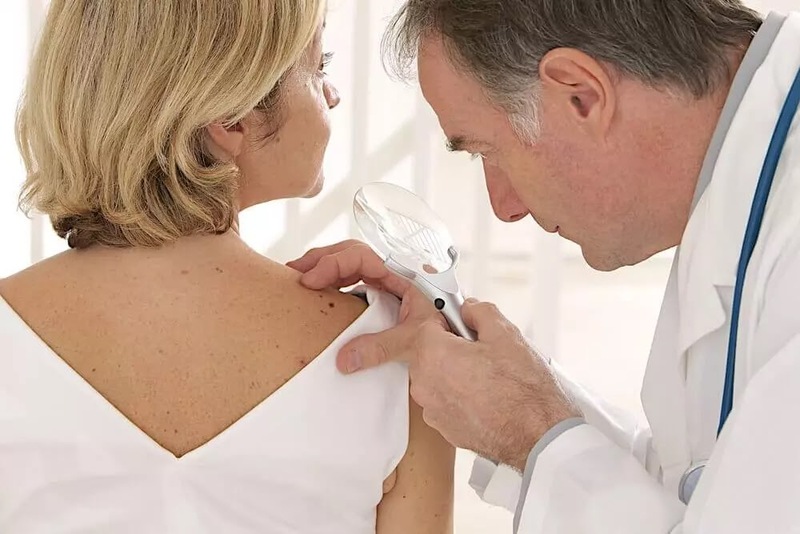 Health and service :: » Illnesses » Is Melanoma the Only Serious Type of Skin Cancer? With summer here, there are additional warnings about the damage caused by excessive sun exposure. That’s because more doctors and health care facilities invest in awareness campaigns about melanoma . But is melanoma the only serious type of skin cancer? The sun provides us with a lot of health benefits. Your body needs solar radiation to synthesize vitamin D and calcium. A deficiency in these nutrients can cause poor bone formation or diseases such as osteoporosis . Problems occur when you expose yourself irresponsibly to the sun’s rays, which causes damage to your body. This begins with a sunburn and can worsen over time. The most alarming threat, however, is the carcinogenic effect of ultraviolet radiation. Most people already know about the risks of melanoma. That’s not the only serious type of skin cancer, however. It’s a good idea to learn about the others so you’ll know how to prevent them. Your skin is the largest organ in the body. Its main function is to protect you from the many threats from the outside world. Those can include bacteria, microorganisms, temperature extremes, and solar radiation. Your skin is made up of various layers and tissues. The top layer and the part that’s visible is called the epidermis. Below that is the dermis and then your subcutaneous tissues. Each layer is made up of different types of cells, in addition to glands and blood vessels. Your epidermis is made up of squamous cells, basal cells, and melanocytes. There are different types of skin cancer . Depending on where it develops, it will have a different name, symptoms, and treatment. The medical community divides the types of skin cancer into two broad groups. In the second are melanomas. Both of them affect the cells of your epidermis. This occurs when cancer develops in your squamous or basal cells within the epidermis. Most cases of skin cancer are non-melanomas. There are two types of non-melanoma cancer: basal cell carcinoma (BCC) and squamous cell carcinoma (SCC). This is the most common type of skin cancer in the world. It affects the basal cells, which are found in the deepest layer of the epidermis . It develops in the parts of the body that are most exposed to the sun (face, ears, shoulders, neck). This is the second most common type of skin cancer. It affects the squamous cells within your epidermis at the uppermost layer. It’s more common in men and typically develops in areas that are more exposed to the sun. Both of these non-melanoma carcinomas have very low risk of mortality or metastasis. They typically respond well to treatment and are easy to diagnose. Melanoma is the most aggressive type of skin cancer. It initially affects the superficial melanocytes of the epidermis, but later the lesions become deeper and more dense. This increases the risk of it metastasizing to other organs. 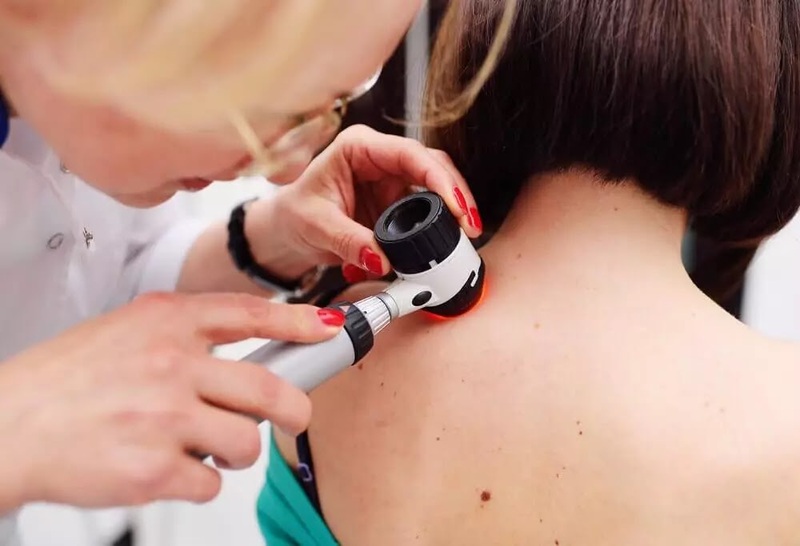 It’s essential to diagnose melanoma quickly to increase your chances of curing it. If identified in the first phase, surgical removal has a 90% success rate of removing the tumor. The main cause of all types of skin cancer is excessive exposure to ultraviolet (UV) radiation. The sun is the primary source of all UVA and UVB rays. Sun lamps and tanning booths also emit these rays, however. The best forms of prevention are to use sunscreen and avoid exposure to the sun during the strongest hours of the day (between 11 in the morning and 4 in the afternoon). Exposure to chemicals like arsenic, industrial tar, and paraffin. Treatments using ultraviolet lit or for psoriasis. Xeroderma pigmentosum, or Kaposi’s disease , a genetic disorder that reduces the ability of your skin to recover from sun damage. Basal cell nevus syndrome, or Gorlin syndrome, a congenital disease that causes multiple malignant tumors in the basal cells of the epidermis. Having healthy lifestyle habits is essential for maintaining a healthy body during the summer season, and don’t forget that taking good care of your skin also helps boost your natural defenses.